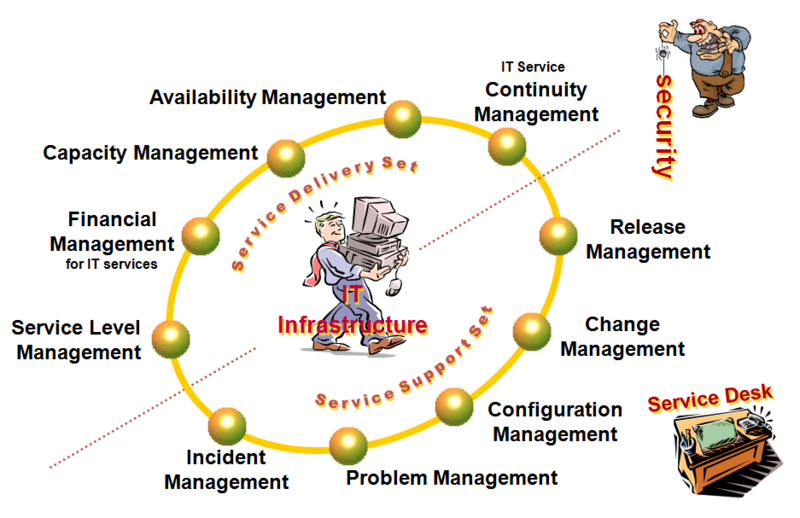 ITIL is actually more than these processes shown in the diagram, however it is generally accepted that these processes are at the heart of the framework. There are 10 primary processes, one function and one extra process area that simply have to be included in any consideration of running an IT organisation. Security Management is the process that is concerned with the management across all levels of security on IT Services, processes and information.